When using Linux, there are times when you may need to manage hard drives, removable media such as USB drives and SD cards, and more. This is especially true if you plan on dual-booting with Windows or a second Linux installation. Therefore, it’s important to know how you can manage your drives and the partitions that are on them. 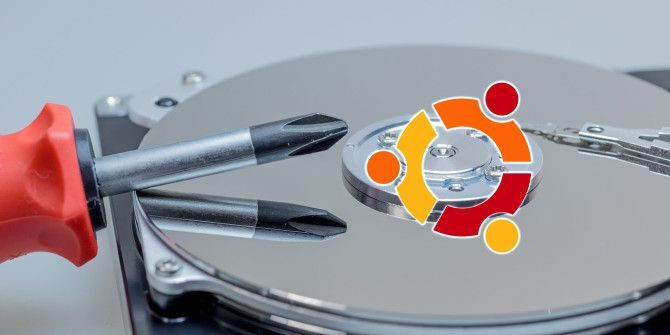 Resizing a partition, reformatting your hard drive, or checking its health are some of the things that you can do with Ubuntu’s Disk Utility. To launch Disk Utility, open up the Dash by clicking on the Ubuntu logo near the top left corner. Type in disks, and then click on Disks. The layout of the utility is quite simple. You have a list of drives on the left side that you can manage. Everything else that is displayed pertains to the drive that is currently selected. The top half has general information about the drive, such as its name, how much storage capacity it has, how it is partitioned, and the SMART status of the drive (more about that later). You can also perform actions to the entire drive via the menu in the top right corner of the utility. In the bottom half, you’ll see the partition layout; this gives you information about the currently selected partition. Using the partition layout view, you can also add/remove partitions, unmount partitions, and perform other tasks that are hidden within the gears icon. Let’s go over the individual options in more detail. First, here are the actions you can apply to entire drives. Format Disk lets you reformat your hard drive by creating a brand new partition table and overwriting the old one, causing your system to no longer recognize any partitions that may be on the drive. You can choose between Quick and Slow options, which simply means that it’ll either just overwrite the partition table and the data is technically still intact (although unusable without a recovery tool), or it overwrites all data on the drive with zeroes. The choice between MBR and GPT is a bit more complicated to explain. MBR stands for Master Boot Record, and supports up to four partitions (but you can create a logical partition that contains multiple partitions within it, effectively eliminating the limit of four), and up to 2TB hard drives. GPT stands for GUID Partition Table, and essentially eliminates the four partition and 2TB limitations. So choosing GPT is newer and “better”, but there’s no reason not to use MBR so long as its limitations do not affect you. You can also create images of your drive, which make excellent backups. If you need to restore a drive using an image, you can use the utility to do that too. These options are Create/Restore Disk Image. Just be sure that when you create an image, that you have another storage medium large enough to hold the image. If you are curious about just how fast your drive really is, you can benchmark it with Benchmark Disk to see how fast your read and write speeds are, as well as your access time (time it takes for the drive to locate a file). If you think your drive has been behaving strangely, you can take a look at the SMART data and perform self-tests to see if the system can detect any irregularities with the disk. If it does find some problems, there’s probably not much you can do to fix it, but at least you know it’s a hardware issue. If the system can’t find anything wrong, however, then whatever problem you may have must be caused by something else. You can apply write cache settings under the Drive Settings option to speed up your drive. Enabling write cache can improve your drive’s performance because it forces the drive to put data that should be written into its cache first, and once it fills up it gets permanently written onto the disk. This is because one write event is quicker than many write events when the amount of data to be written is the same size. Just be aware that enabling it can cause data loss in the event of loss of power — data that is in the cache but not yet permanently written to the disk will disappear when power gets cut. As I already mentioned, you can add, remove, and unmount partitions from the partition layout view. You can also click on a specific partition and then the gears icon, which will give you a list of similar actions but that affect just the partition in question. For example, you can format the partition (with both quick and slow methods) to a new filesystem type From FAT To NTFS To ZFS: File Systems Demystified From FAT To NTFS To ZFS: File Systems Demystified Different hard drives and operating systems may use different file systems. Here's what that means and what you need to know. Read More with Format Partition. You can create and restore images that contain just a partition rather than the whole drive with Create/Restore Partition Image. Finally, you can also benchmark the partition to see if you can get any performance increases from different filesystem types (such as btrfs Ext4 vs. Btrfs: Why We're Making The Switch [Linux] Ext4 vs. Btrfs: Why We're Making The Switch [Linux] Quite honestly, one of the last things people look at is which file system is being used. 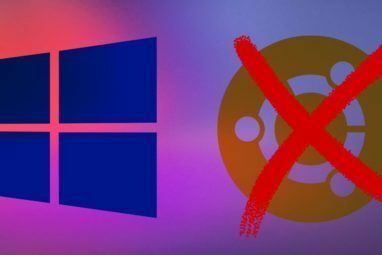 Windows and Mac OS X users have even less reason to look, because they really have only one... Read More ) or other factors with Benchmark Partition. There are a few additional options available for partitions that aren’t possible for drives. Under Edit Partition you can choose what type of partition it should be (this is different from actually formatting it with a certain filesystem type). Use Edit Filesystem to change the partition’s label/name. There’s nothing else to it. With Edit Mount Options, you can choose to mount the filesystem during bootup and make other changes if desired. You’ll want to go here if you added a new hard drive to your system and want it to be mounted automatically. 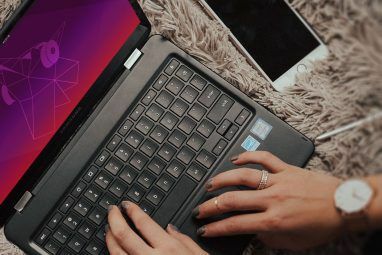 If you’ve set up a partition with encryption How to Create a Secure USB Drive in Ubuntu with Linux Unified Key Setup How to Create a Secure USB Drive in Ubuntu with Linux Unified Key Setup Your portable thumb-sized USB flash drive is a security risk. But if you're a Linux user, you can easily encrypt the drive to protect data should it be stolen. Read More , you can also edit those settings under Edit Encryption Options. You can also use Disk Utility to mount ISO images as drives. Just click on the Disks menu that appears when you hover your mouse over the panel at the very top of your screen, and then click on Attach Disk Image. Find the ISO image you’d like to mount, and you’re done. Disk Utility is a great tool and capable to do just about anything you may need from it. In case you’re looking for any alternatives though, I would suggest GParted, a highly-capable disk management tool GParted - The Ultimate In Partitioning Software GParted - The Ultimate In Partitioning Software Read More , or using terminal drive management and partitioning tools. Of course, if you’re not very comfortable with using terminal tools just yet, it’d be best to check out GParted first. In any case, it’s good that Ubuntu has a disk management tool available that is actually useful and easy to use. 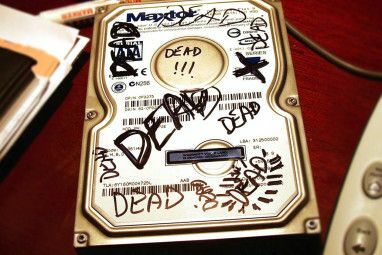 What’s your preferred way to manage your disks? Let us know in the comments! Explore more about: Disk Partition, Hard Drive, Ubuntu. Thanks heaps. Thought my 1 TB external disk was stuffed. Wouldn't mount. OK now. Although Disks claims to be able to "Create Disk Image", it can not do so on a mounted drive, i.e. the one you booted from. Use Clonezila instead. disks does not show a USB drive I recently plugged in. Do you have any guide showing us how to use this utility in partitioning an HDD? If possible with pictures like in the above article. Thanks a lot.